Nate Cooper, the irrepressible funny-man, dancer and all around master of mischievous hi-jinx, has teamed up with musician, Rick Good for some classic Vaudeville, in the age-old tradition of street performing, better known as busking. 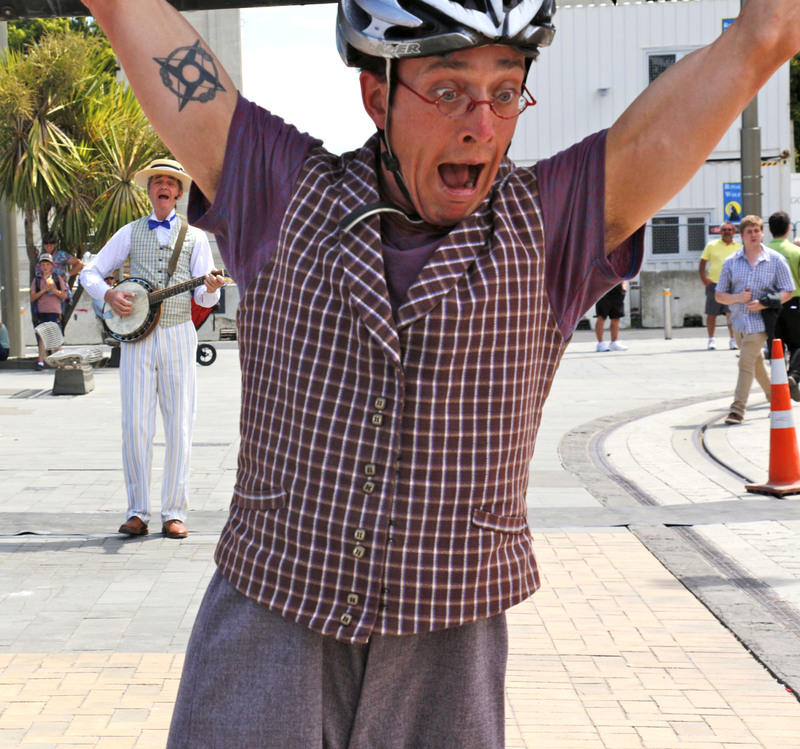 With Sharon Leahy directing, Rick and Nate first delighted audiences in Christchurch, New Zealand at the annual World Buskers Festival. The ten day Festival, which features street performers from around the world, showcased E. Meritus Futzbudget and Mr. Knucklehead, better known as, Knuck ‘n’ Futz. 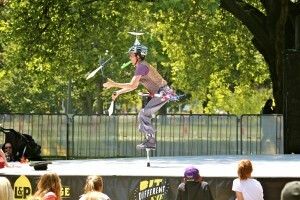 See a video montage of Knuck ‘n’ Futz at the 21st Annual World Buskers Festival in Christchurch. 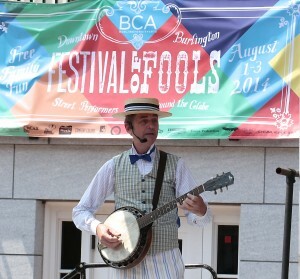 Most recently, Knuck ‘n’ Futz appeared at Burlington Vermont’s Festival of Fools. 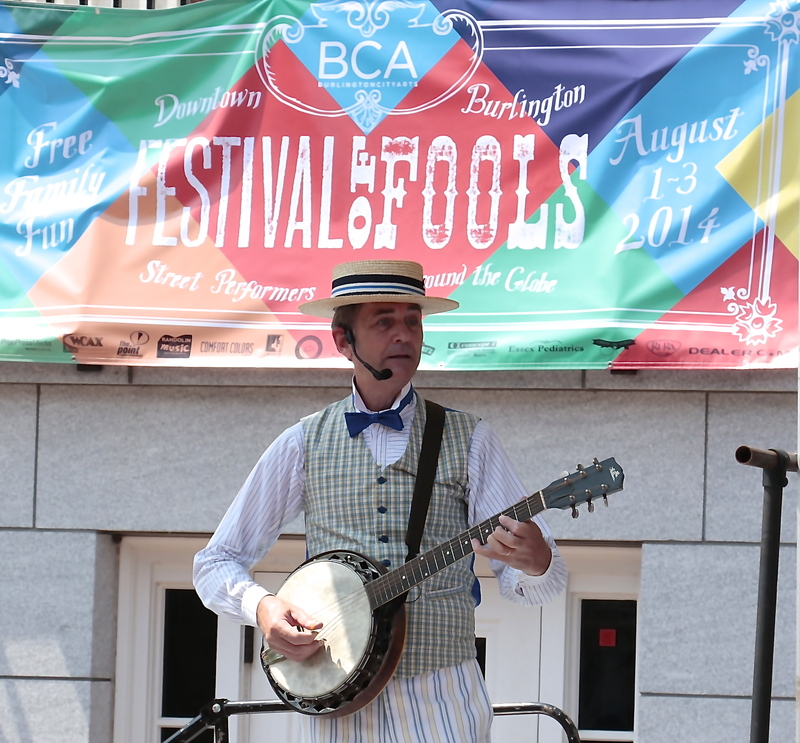 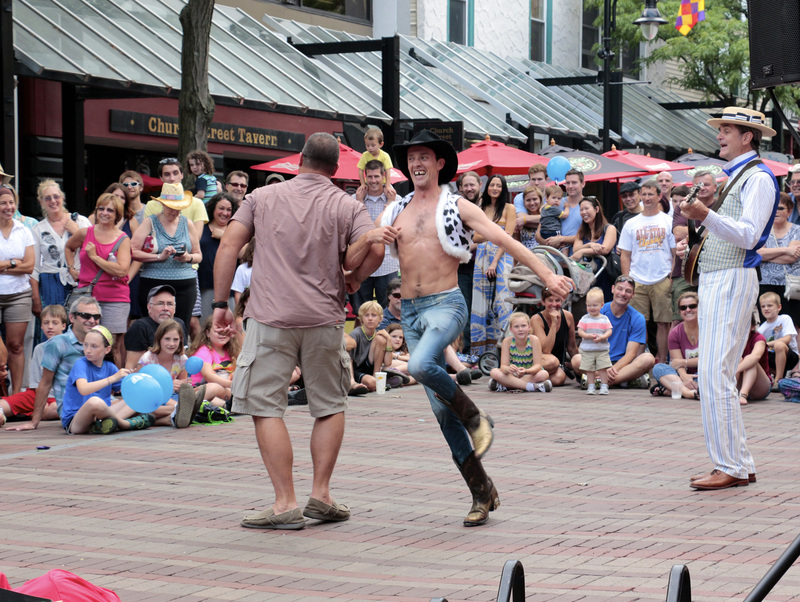 Buskers from all over the country performed in downtown Burlington all weekend long in this popular, annual event.